Produktinformationen "Analog Box Modem V.92 6-36V, incl. cables, packed"
for a wide range of M2M applications. Flexibel power input and worldwide operation are supported, for easy integration. 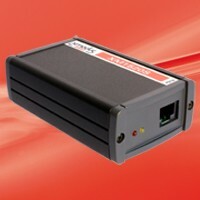 Weiterführende Links zu "Analog Box Modem V.92 6-36V, incl. cables, packed"